« A King of Infinite Space: Euclid I.
Bragging about mathematical ineptitude is not cool. There is nothing admirable about ignorance and incompetence. Moreover, everyone thinks mathematically all the time, even if they are not aware of it. Can we all do maths? Yes, we can! [See this week’s That’s Maths column (TM064) or search for “thatsmaths” at irishtimes.com]. When you use a map of the underground network, you are doing topology. We use simple arithmetic every day when we buy a newspaper, a cinema ticket or a pint of beer. But we also do more high-level mathematical reasoning all the time, unaware of the sophistication of our thinking. The central concerns of mathematics are not numbers, but patterns, structures, symmetries and connections. Take, for example, the Sudoku puzzles that appear daily in The Irish Times. The objective is to complete a 9×9 grid, starting from a few given numbers or clues, whilst ensuring that each row, each column and each 3×3 block contains all the digits from 1 to 9 once and only once. But the numerical values of the digits are irrelevant; what is important is that there are nine distinct symbols. They could be nine letters or nine shapes. It’s the pattern that matters. Another Irish daily paper publishes these puzzles with the subscript “There’s no maths involved, simply use reasoning and logic!” It seems that even the idea that something might be tainted by mathematics is enough to scare off potential solvers. Could you imagine the promotion of an exhibition in the National Gallery with the slogan “No art involved, just painting and sculpture”? If you can do sudoku, you can do maths! Whether you are discussing climate averages, examining graphs of house-prices, worrying about inflation rates or working out the odds on the horses, you are thinking in mathematical mode. On a daily basis, you seek the best deal, the shortest route, the highest interest-rate or the fastest way to get the job done with least effort. The principle of least action encapsulates the fundamental laws of nature in a simple rule. You are using similar reasoning in everyday life. Maximising, minimising, optimising: that’s maths. Maps and charts are ubiquitous in mathematics. They provide a means of representing complex reality in a simple, symbolic way. Subway maps are drastically simplified and deliberately distorted to emphasize what matters for travellers: continuity and connectivity. 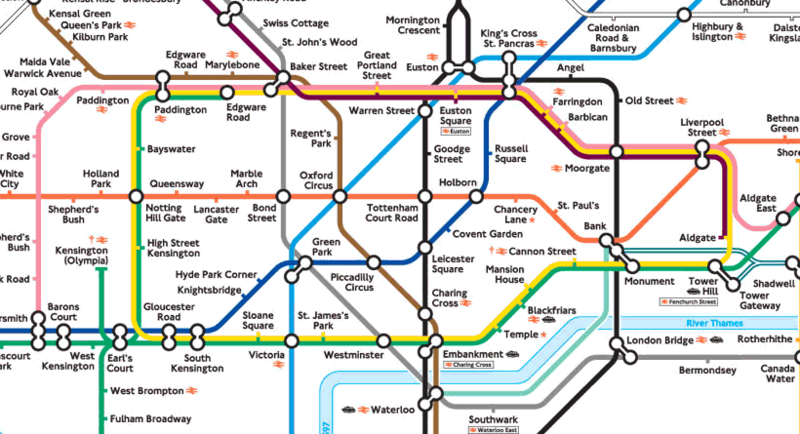 When you use a map of the London underground, you are doing topology: that’s maths. Crossing a road, you observe oncoming traffic, estimate its speed and time to arrive, reckon the time needed to cross, compare the two and decide whether to walk or to wait. Estimating, reckoning, comparing: that’s maths. Driving demands even more mathematical reasoning. You must constantly gauge closing speeds, accelerations, distances and times. Driverless cars are on the way: they use advanced mathematical algorithms and intensive computation. You can do that yourself in a flash. Suppose you have the misfortune to fall ill. The doctor spells it out: the most effective treatment has severe side-effects; the alternative therapy is gentler but less efficacious; doing nothing has grave implications. A difficult choice must be made. You weigh up the risks and consequences of each course of action, rank them and choose the least-worst option. Weighing, balancing, ranking: that’s maths. Professional athletes can run 100 metres in ten seconds thanks to sustained, intensive training. Composers create symphonies after years of diligent study and practise. And professional mathematicians derive profound results through arduous application to their trade. You cannot solve technically intricate mathematical problems or prove arcane and abstruse theorems. But you can use logic and reasoning, and think like a mathematician. It is just a matter of degree.